The suede feels soft and velvety and it's plush texture provides warmth and style... So elegant and lightweight, you will love your gloves! 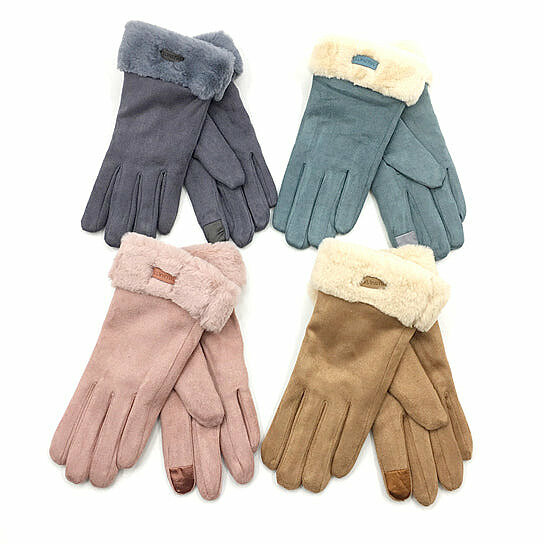 These cozy gloves are made of velvety Suede fabric with softest faux fur trim. They provide extra warmth and style. The touchscreen compatibility makes them convenient so you can access your Smartphone and stay connected with your loved ones without taking them off. Comfort fit with good grip and lightweight. They come in lovely colors like BLUE, STILL GRAY, PINK ROSE, CAMEL BROWN. One size fits most so get more for gift giving and as stocking stuffers. Each sold separately.